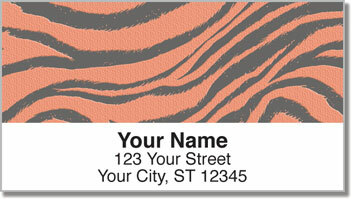 Let your inner animal loose on your outgoing mail when you use these original return address labels! The stripes of tigers and zebras are not only a stylish fashion statement, they'll also allow you to show off a little of your wild side on every envelope and package. 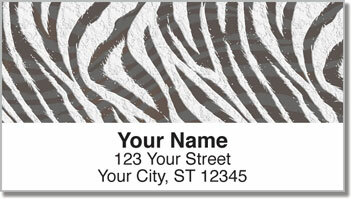 Animal Print Address Labels from CheckAdvantage are for folks who like to stand out from the rest of the pack! In addition to having an edgy look, these labels are a convenient tool. 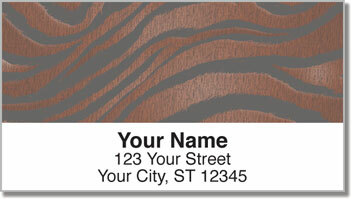 A self-adhesive backing means you save yourself the hassle of writing out your name and address by hand. 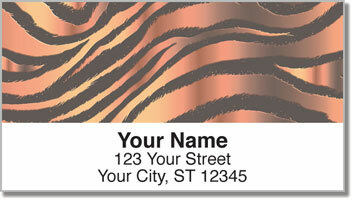 Get your own Animal Print Address Labels now! This beastly selection can also be ordered as a set of matching personal checks.